A tourist kayak with an optional baby seat that can accommodate two people. Highly damage resistant. 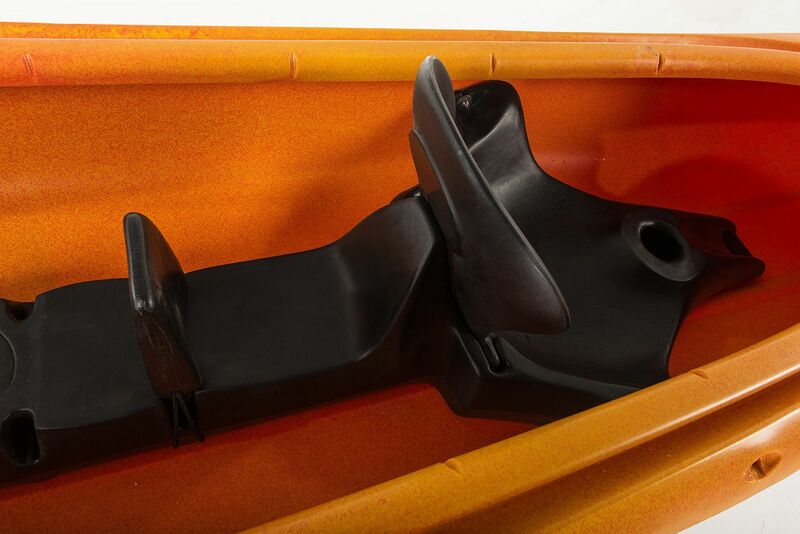 Resistance and stiffness unprecedented in this class have been achieved by using HDPE quality polyethylene. 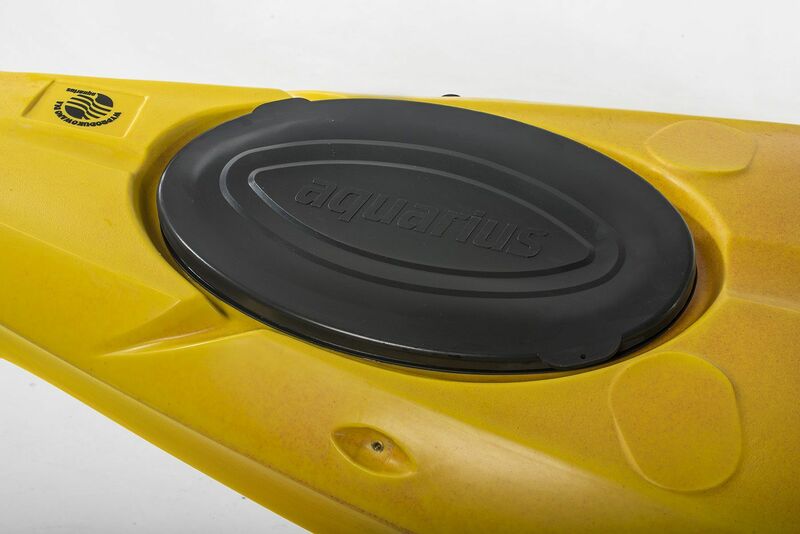 Kayak’s bottom has been additionally strengthened with a double polyethylene layer.. 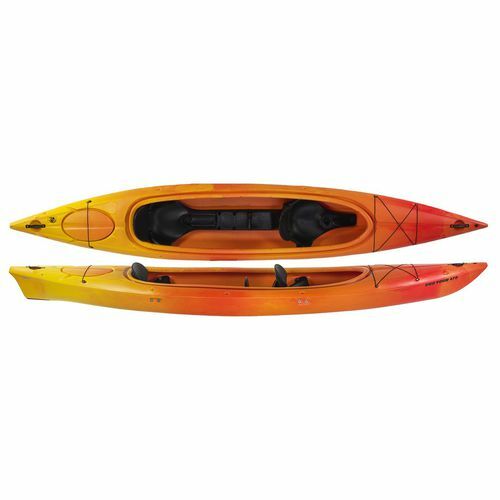 The kayak has a very large baggage space (usually divided with displacement chambers). There is a place for a drink/can at both seats. Comfortable profiled seats with a high rest folded for transport assure superb comfort during long trips. Pro Tour 470 is unsinkable owing to displacement chambers in seats. In the bow section, there is a valve making it easier to remove water from the cockpit. At the back of the keel, in the most vulnerable part, a replaceable foot has been used..
A classic flat bottom has been used in the hull structure characterised by high lateral stability and low floating resistance. Moreover, it enters well and safely slips off barriers. Two inner keels running through the whole length provide very good course keeping. 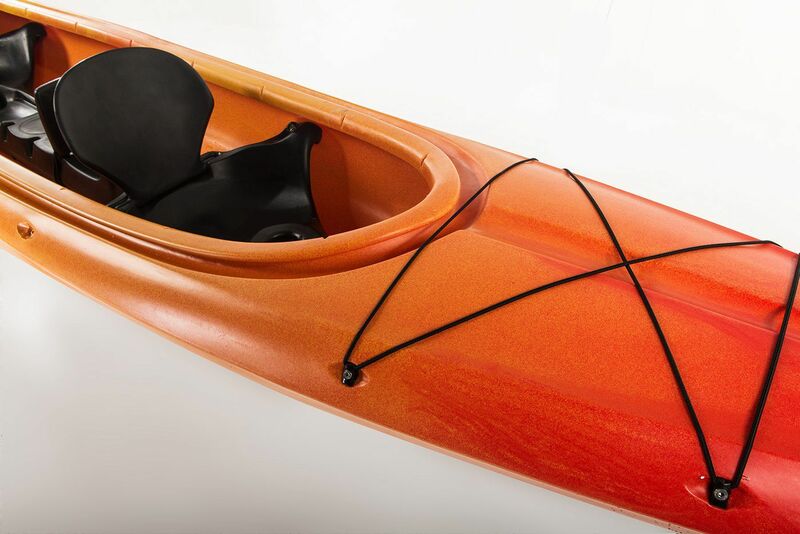 Pro Tour 470 is probably the most resistant kayak on the market. It is very resistant to mechanical damage, and it handles difficult rivers well. Produced in France by DAGa. 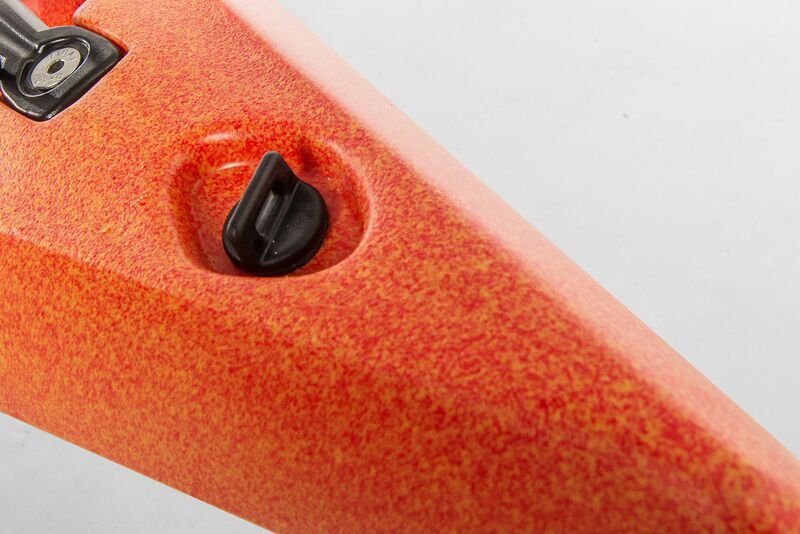 Pro Tour 470, thanks to its excellent resistance to damage, is often chosen by rentals and kayaking trips organizers..